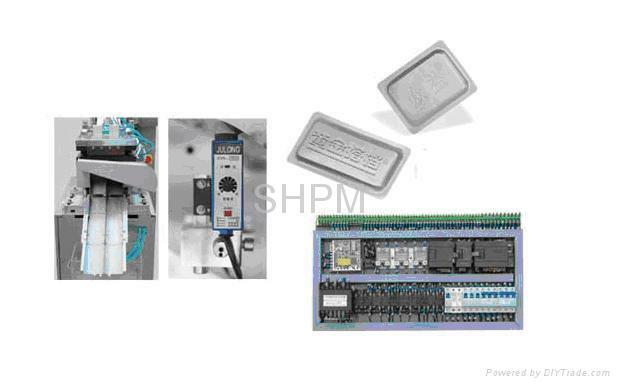 Adopting Man-machine Interface PLC Control System made by Germany Siemens Co.
Having the functions of fiber-optical no tablet(granule) checking and automatic waste plate rejecting. 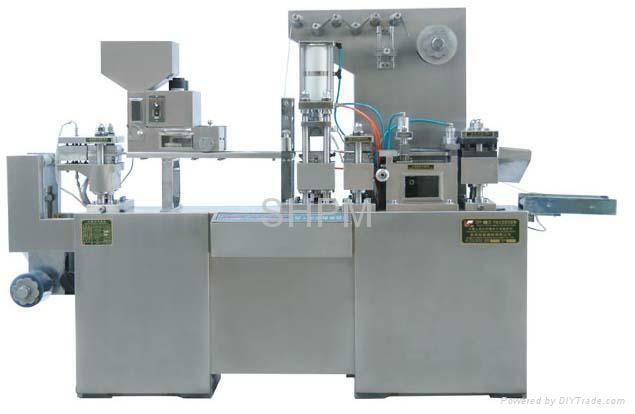 Variable frequency speed regulating, separated-type combined body. 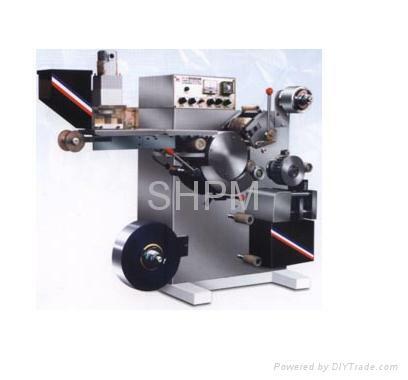 Equipped with cursor picture register sets so as to improve the product grade. 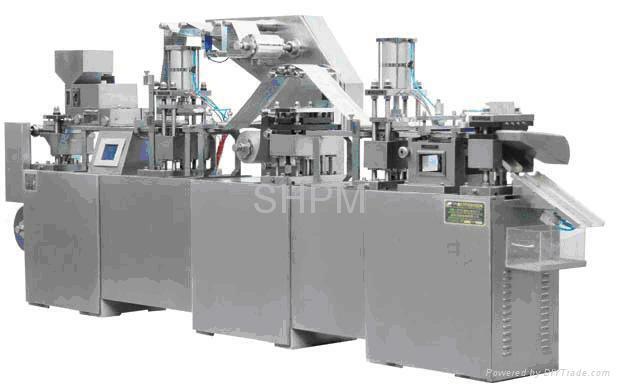 This machine can carry out Al-plastic, Al-Al and Al packing multaneously, thus achieving the aim of tri-use in one machine. Multi-layer Composite Packing with Good Tightness Performance, high-intensity Photopathy, Damp Proof, Fake Proof and Heat Proof Function. 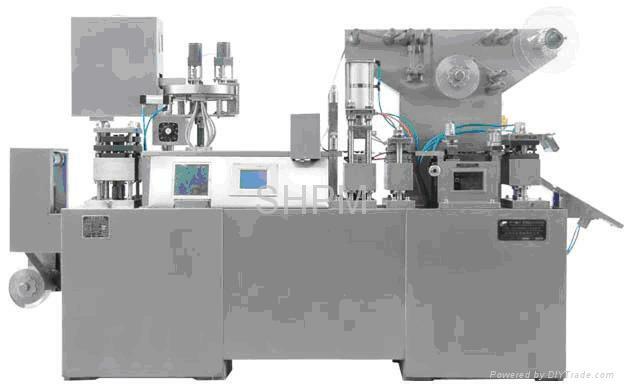 High Collocation, High Performance, Perfect Packing Effect.